A brand new advertising poll conducted for Adweek Media by Harris Interactive puts some agencies on notice. For all the cleverness that some agencies try to jam pack into television, three-quarters of Americans find them confusing. Highlights From The Harris Interactive Poll. • 75 percent say that they have found at least one commercial confusing. 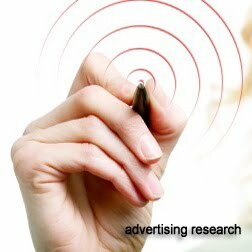 • 21 percent say that they often find television commercials confusing. • 14 percent say they never find television commercials confusing. • 11 percent say they never watch television commercials anyway (they lie). The answer seems to correlate with the age. Participants who were over the age of 55 tended to be more confused by commercials than their younger counterparts. This is indicative of two possibilities. First, the television commercials could be targeting younger and younger viewers. Second, younger viewers have learned not to expect much from television commercials. Either way, the confusion factor is a challenge. Given that the survey also revealed that the confusion increases with level of education, I'm leaning toward the latter explanation. Educated people are anticipating there is a point. Less educated people are assuming commercials entertain. Overly Creative Commercials Have No Point. I touched on this last week in an expose on how companies undermine their own brands. And, I cannot resist picking on the most creative and painfully pointless ad out there. I've shown the advertisement to countless people. Most of them laugh out loud. What always isn't apparent is whether they are laughing because it's funny or because it's a travesty (on the entertainment side, I think it's funny). What is apparent is they don't get it. Diesel wants to make the case that it makes street shoes, cool. But having your foot up someone's rump isn't necessarily a point of affection. The real problem here is Diesel, for all its cleverness, doesn't make a brand promise other than these shoes aren't meant for running. They aren't meant for dishwashing either, which could have made an equally funny spot. Coming up with attention-grabbing creative is the easiest thing in the world. Coming up with attention-grabbing creative that delivers a promise a company can keep, on the other hand, is why some copywriters make a living. It's also why consumers, despite being excited by an advertisement now and again, have gravitated to social media. It's not that they don't like clever, it's that they prefer clever that celebrates the product (with which they have a relationship) as opposed to those that celebrate the creative director or copywriter. That doesn't mean you can't have fun in the field. It's just means you have to think harder than the first thought that comes into your mind. Remaining Competitive: Lessons From The U.S.